Making plaits in hair has emerged as trendy braiding hairstyle. Different number of plaits and different styles from them can be prepared. Some styles give decent, elegant look, which can be, carried everywhere whereas some do give a funky look. 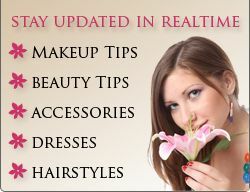 These days whether it is a teen, a small child, or a woman, everyone at some point prefers doings braids in their hair. English braid, French braid, Dutch braid, African braiding hairstyle and African- American braiding hairstyle are different braiding hairstyles, which can be applied on the hair. Mostly three sections are used to make a plait while styling according to the above-mentioned styles. 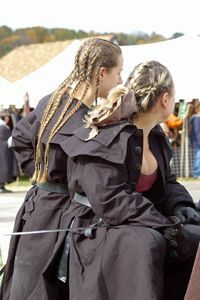 In English braid, three sections are prepared. Right section is crossed over middle section. Now, the left section is crossed over the new middle section and thus it becomes the new middle section. In this way, plaits are continued to be made until the tips of hair. This is most widely used braiding hairstyle and is simple in look. French braid is the one which is the most difficult to be made. It looks decent and stylish and can be carried at work place or at some party. It is almost similar to English braiding hairstyle, except for the difference that we will start with the center of the head and will join new segments of hair in already made plaits. French braid bun can also be prepared. This hairstyle requires much patience and experience. Therefore, if you want French braid bun or just French braid hairstyle then you should go to a salon for getting that. Dutch braid hairstyle is reverse of French braid hairstyle. As in French braid right section of hair is crossed over the middle section, in this hairstyle right section is crossed under the middle section and then the left section is crossed under the new middle section. As it is crossed under not over this hairstyle is also known as under braid hairstyle or inverted French braid. Zulu Knot is the African braiding hairstyle, which is much popular among small age girls rather than teens. Different sections of similar shapes like rectangle, triangle, and rhombus are created according to the length of your hair. Short hair will have small sections of half an inch and long hair will have sections of 3 inches. Plaits are created in particular sections of hair. After making plaits, they are tied to make a knot. African-American braiding hairstyles deals with those hairstyles, which have their origin in Africa but have became in a trend in America. Therefore, these hairstyles generally suit on black women. Cornrow style, Box braids are some of African-American braiding hairstyles. In Cornrow style a particular section from all sections is picked up and normal plaits, i.e. 3 strands are used to make them. In this way, all sections are traversed. Taking care for this hairstyle is important because if proper care isn’t taken then it can lead to hair damage. Box braid hairstyle is also same that section by section plaits are being made out. Nevertheless, the difference is that here 4 strands are used to make plaits instead of 3. Both of these hairstyles need much time for styling, so you will have to be patient while styling your hair. Doing braiding in hair looks stylish and so these days’ girls like to have plaits in their hair. With proper care of your hair, the braiding style you would choose will last for longer time.